Recently fired from her job as an Interim Fate, one of the most powerful people in the world, Tiffany VanDerHoven must move in with her mother in Eugene, Oregon. Tiffany finds living without magic hard enough, but high school? Not even movies or TV prepared her for that. Tiffany has tumbled into “the real world,” and it baffles her. To make matters worse, she can’t talk to her sisters Crystal and Brittany (the other two Interim Fates)—except for an hour or so, on the weekend, under strict parental supervision. Parental, meaning their mothers’ supervision. Because none of the girls can talk to their father, the Greek God Zeus, who started this entire mess when he wanted his daughters to use their Fateness to get rid of true love. Tiffany needs to face her future, but first she must decide what kind of future she wants. One with her crazy magical Greek God family? One in the “real world”? Or can she discover the strength to straddle both worlds? 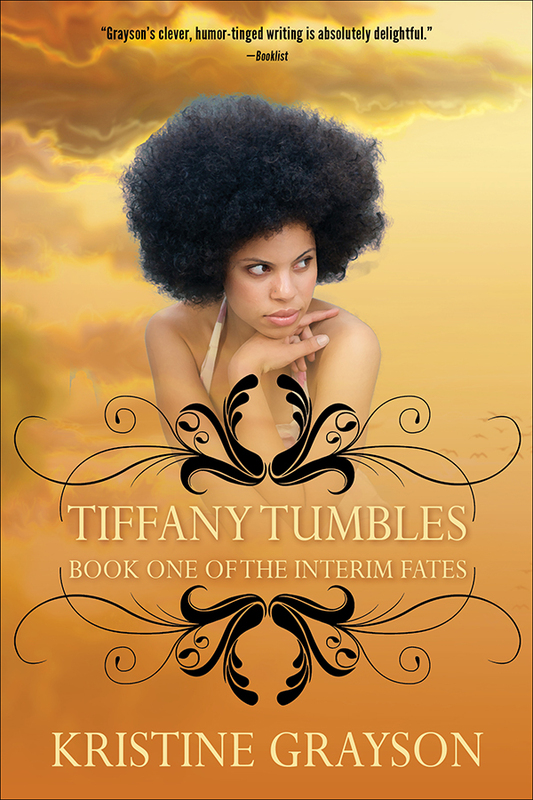 Whatever Tiffany decides will impact not just her own fate but her sisters’ fates, too.